In competitive electric markets such as New England, New York and PJM, the Independent System Operator (ISO) is responsible for paying generators for their capacity to perform during critical hours. Simply, electric generators are paid to guarantee that there will be enough electric supply available to meet forecasted demand requirements into the future. These costs are pre-determined using competitive auctions. Due to planned electricity generation plant closures and growing demands, future capacity costs are increasing. While the actual cost of the capacity is determined system-wide, your individual capacity tag is established by your electricity demand when the system is peaking . A business’s capacity tag is tied to the number of capacity units that the business will require on the peak demand day(s) of the year. 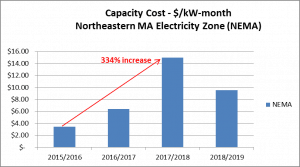 By effectively predicting the potential peak day(s), companies can temporarily reduce their electricity usage to lower their capacity tag for the next capacity year. 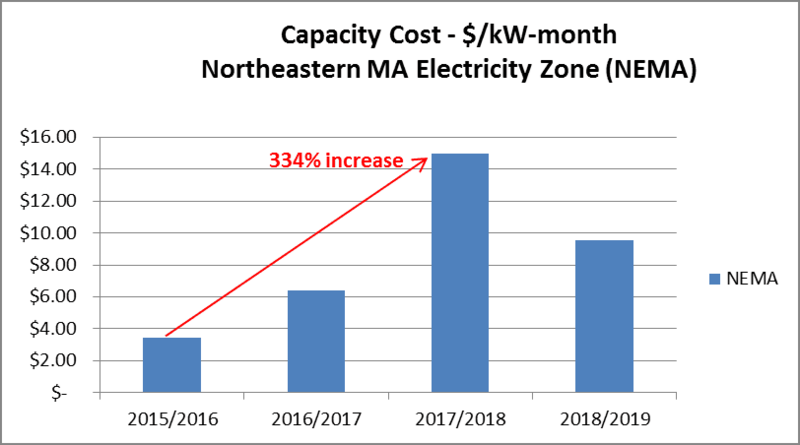 A reduction in the capacity tag will help mitigate the increase in the capacity costs going forward, and likely generate additional savings. To get started with your Capacity Tag Analysis, simply call 888.686.4845 or complete the form.